Heart healthy fow fat gift basket. Heart Healthy Low Fat Gift Basket. 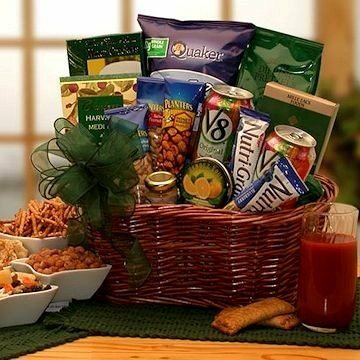 If the man in your life needs special attention to his diet, then this basket is the perfect gift idea. These items are put together with a heart health low fat diet in mind. This gift basket includes the following: Planters Heart Healthy Mixed Nuts, 2 - V8 Splash Fruit drink, Healthy Choice granola snack bars, Tropical Trail Mix, Lemon Buds Candies, Grained Mustard, Low Fat Pretzels, Low fat Soy Garlic & Herb Crackers, Low Fat Vegetable Spread/ dip, Low Fat Herb Chips, all in a Wicker stained basket.